In the Gaslamp Games office we have some phrases to describe game design pitfalls. For instance “bruising the fat” refers to trying to make an aspect of the simulation unnecessarily detailed (and let me disclaimer that by saying that we have all the love in the world for Dwarf Fortress – it’s just not a road down which it is reasonable for us to follow). “Playing Starcraft” is giving the player too much ability to micromanage an insignificant system in order to optimize their in-game power. When a combat enemy simply swarms at the player for no particular reason but to get defeated, that’s “goblins”. Bandits in Clockwork Empires started off as “goblins”, then in a second major iteration received a concept of a home camp, individual morale, and the player got a choice between fighting and letting the bandits take what they want. Funny thing is, just about zero players were interested in letting the bandits take their stuff without a fight because that simply isn’t done in games. 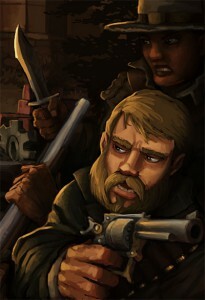 Players chose to fight even when their military was strained, and even if it was quite likely that the bandits would steal something easily replaced like logs or fungus (until, that is, bandits received a Robbery Upgrade that had them prioritize booze and other good things, as bandits should). Right, so we were giving a choice that no one was particularly interested in choosing, effectively no choice at all. 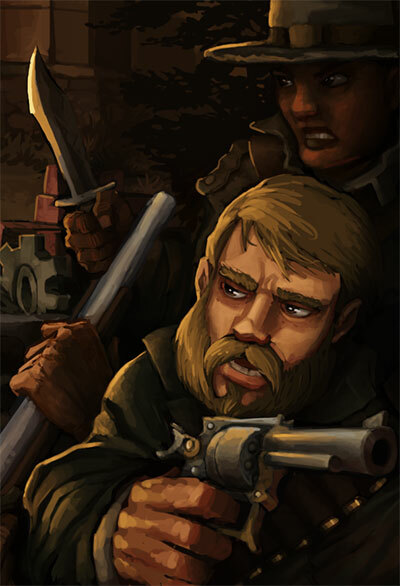 So there were a few ways to dig in to this: make longer-term consequences for interactions with bandits, make bandits react over a longer term to what the player chooses to do, and heck, just make the more interesting narratively. They should be characters in a world, not goblins. Let’s start with characterization: Cults suddenly became a whole lot more evocative once they had names and the player was told what these names were. “Druids of the Black Obelisk” is terrifically suggestive about the unrepresented details and uncommunicated motivations of the cult in question, like there’s a whole layer of storytelling below the surface waiting for a player to connect the dots. Bandits could get the same treatment. There’s a very particular swag to 18th/19th century criminality. There we start tying different systems and events together by way of player choices to form something more dynamic, with build-up and consequences! Expect much more of this sort of thing. Although kinda awesome, this bug was fixed. when is the linux client working? The Linux build is now actually building and uploading; we have to check the permissions and a few other things before we can start releasing it to the general population for testing. Yay, libraries! I look forwards to to finally doing some good things for Cog and Country! Additional interactions with bandit gangs would be welcome. Bandits who give you supplies may later ask you to return the favor (refusing might break the truce) or offer to help fight off a fishperson raid. 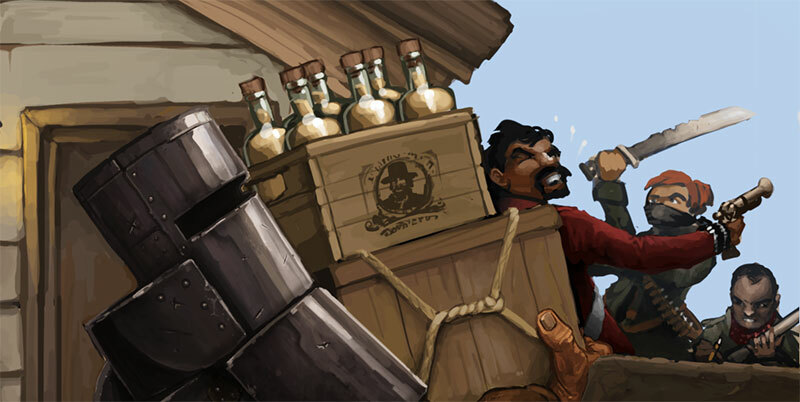 They might even start visiting your colony to trade goods for booze and food (particularly if a tavern/pub building is added later on). The ministry might put a bounty on a particular bandit/bandit gang; killing them may net you an additional supply drop and/or prestige! I misread this headline as “Trouble of Frontier Roughage”. I was thinking FINALLY, CE is turning into the Kale Farming Simulator I we were all hoping for! Damn you and your chair based oppression! The people will not stand for this! …Well, they will, because I didn’t build any chairs. Wow, bandits that aren’t just cannon fodder!? Better reel in those horses, Gaslamp Games, you’re about to shake the oldest, dustiest pillar in existence of goons. So, is there anyway that a cult would deal with the bandits? Night raids or something? I’m thinking along the lines of Hot Fuzz here. It’d be fun to cult-ivate (heh) a community like that of Sanford in the movie. Might I ask just how were players to know which items the bandits would be likely to steal? The mechanism seemed rather opaque to me. Were items selected entirely at random, or via some weighted mechanism that would likely deprive you of a much needed resource? Would they take a set number of resources, or a percentage of each item, or clean you out? Could they take your guns, thereby preventing you from standing up to them next time? 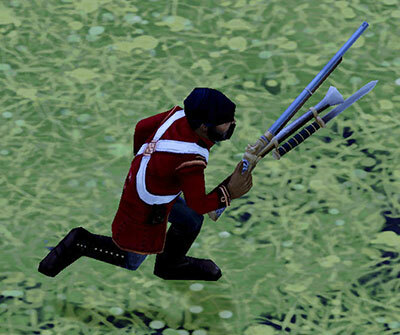 For that matter, figuring out in-game just how “strained” your military is wasn’t always easy. I suspect that at least part of why paying tribute was an unappealing choice for players was because the never had enough data to weigh it against the likely costs of a battle. 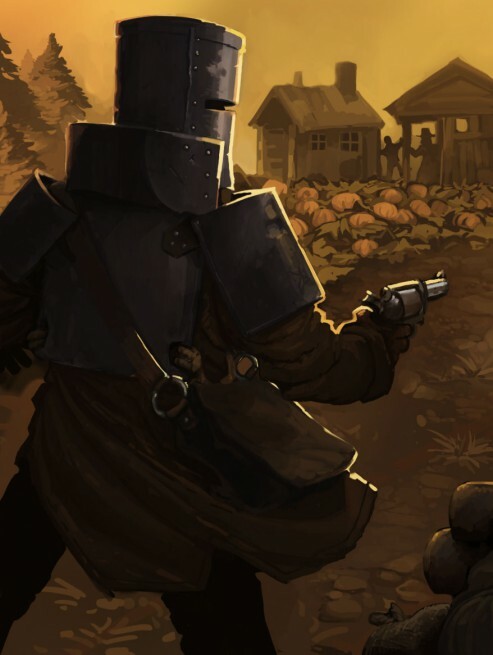 If the bandits had said “give us 3 cabbages and 2 logs or we’ll shoot the place up” people would have been able to decide if that was a worthwhile trade, but last time I played the bandit event didn’t give that level of detail. I was one of the dreaded 99%, simply because the bandits always seemed to come right when everyone was starving and half dead, and I feared they’d take what precious little food I had left. Thankfully starvation is a bit easier to deal with now, but I still stand and fight because.. Screw bandits. Perhaps if they were more interested in “trade” (or even just asking nicley) I’d feel a little less hostile towards them. Stolen items were originally entirely random, though are now weighted. Physical location is, honestly, the greatest determinant of what gets stolen and that’s highly chaotic. Demanding X valid items from the player’s stocks was indeed the way I was thinking to approach this, but that’d require some new infrastructure. Demanding X items from (broad category of commodities that player is likely to have) is far easier and a likely first step. Long story short: everything is more complex than one would imagine, but we’re probably thinking along similar lines for improving how bandits work. I like how new building construction will automatically select stumps and such to be cleared as a part of the construction process. I wish the same could be done for stockpiles to simplify things. Are there any plans to make water a resource that can be foraged? Also, I’ve noticed that lower, middle and upper housing have the same supply requirement for doors and the little wooden steps. Would it be possible to add stone steps for middle class doors and brick steps for upper?